The Copper Hat is a husband and wife endeavor located in Victoria on beautiful Vancouver Island, BC. We created The Copper Hat in 2009 because of our own frustration that came from shaving with typical drug store supplies. We each struggled with extreme skin types, one oily and one sensitive &amp; dry. 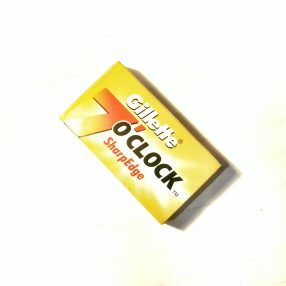 We were overwhelmed by the increasing cost of multi-blade cartridge razors and the terror cheaper razors reigned on our skin. When Brad started a job that required him to be clean shaven every day, he took matters into his own hands. He tracked down his first vintage double-edged razor and a shaving brush and, for the next several months, his most common saying to Kate was “feel how smooth my face is!” After observing Brad’s excitement, Kate began wet shaving and could also never go back to the drug store habit. 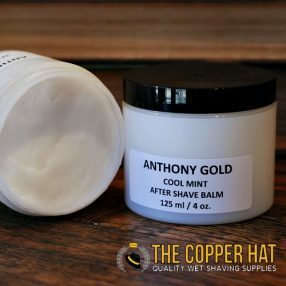 The Copper Hat endeavors to bring the class back to shaving by supplying you with excellent products to enjoy every time you shave. We believe that by taking the time to prepare the skin and shave using appropriate techniques and quality supplies, one can achieve a magnificent shave while promoting and maintaining healthy skin, free of dryness, razor burn, and excess oil.